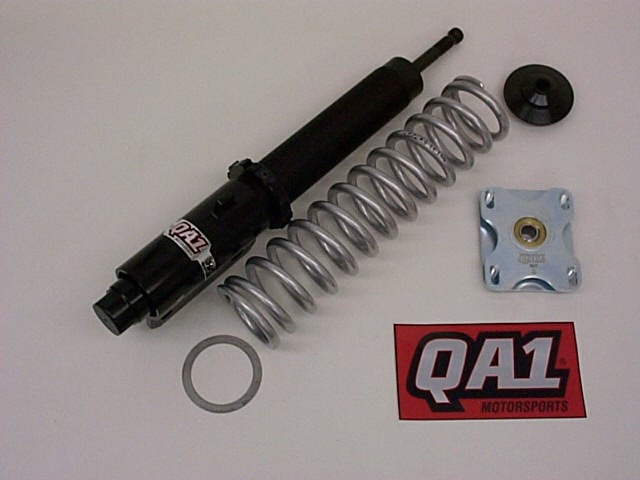 QA1 front strut (part number 12004), coil over conversion kit (part number MU1CCM), front coil spring (part number 14-150) and adjustable caster plate (part number CC105MU). 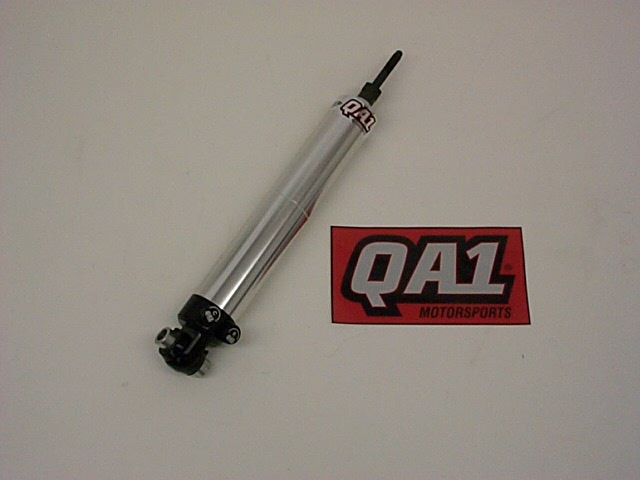 QA1 rear double adjustable shock. Part number DMU7857P.